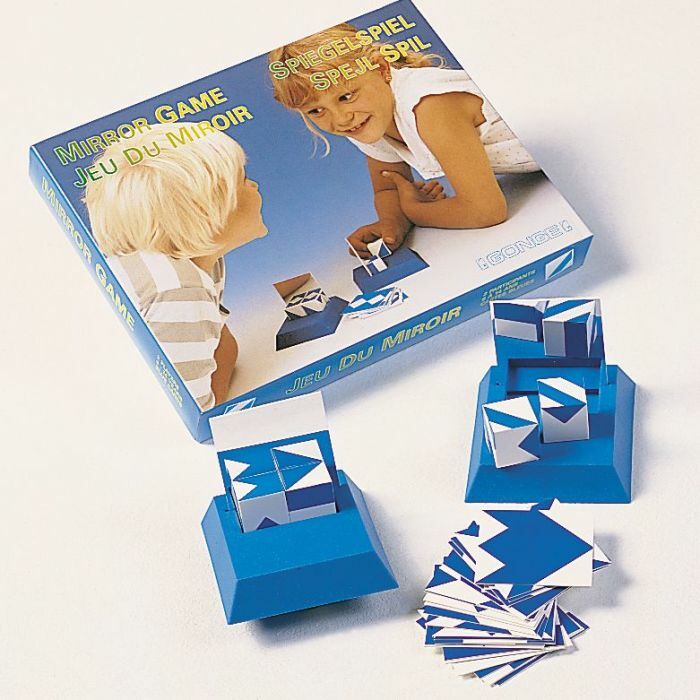 Children will be amused and learn with this exciting game using mirrors. 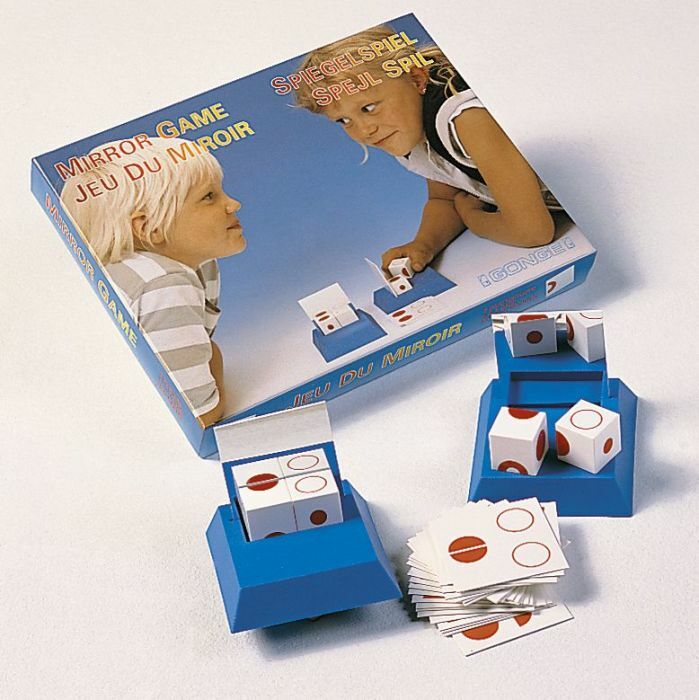 The game starts by turning up a pattern card. Then each player must attempt to form a mirror image of this pattern using 2 bricks and a mirror. The first one to succeed wins the pattern card. Using the mirror can be a challenge so an understanding of the symmetry of a pattern is an advantage in this game.